Dr. Pillai is a Spiritual Scientist, Academic Scholar, Philanthropist, International Speaker and World Thought Leader who is deeply committed to helping people across the globe to realize their full human potential. He is emerging as the most progressive and innovative source of self-advancement knowledge, tools and practices living on our planet today. He has been featured in Time Magazine for having millions of views of his free teaching videos on YouTube and was voted as the "YouTube Guru" in 2008. Tens of thousands of people have already experienced massive shifts in their lives as a result of practicing his Siddha Sound Technologies. Dr. Pillai has been a speaker for the United Nations Conference of World Religions and the World Knowledge Forum, and has hosted forums on Religion and Science. Dr. Pillai knows that Siddha Wisdom and Modern Science are not complete on their own and His teaching brings both together. He often quotes Einstein: "Science without Religion is lame, Religion without Science is blind." Dr. Pillai is an Enlightened Master from the South Indian Siddha tradition, an unbroken ancient lineage of spiritual scientists who have reached the pinnacle of human evolution. A Siddha in the Tamil language means "one who is accomplished" and refers to perfected masters who have the ultimate physical as well as spiritual perfection or enlightenment. Know by some as the Guardians of Mankind, A Siddha has an evolved consciousness that is able to go beyond the limited Earth plane into multi dimensions. What is defined as a "miracle" in the Earth plane is the usual order in higher dimensions. Through the use of "Siddha Light Technology"/Mind Science Techniques, miracles are possible in your life every day. In many traditions this is seen as "On Earth as it is in Heaven". A Siddha may not have a body but resides as a soul in a different plane of consciousness. They have become a perfected being attaining physical immortality. This is usually accomplished only by persistent meditation practices. A Siddha can however, take a physical form and be present on the Earth plane either for an entire human lifespan, or temporarily to give divine information or guidance to humans. A Siddha has also been defined to refer to one who has attained a "siddhi" or paranormal ability. In its pure form, siddhi means "the attainment of flawless identity with reality or perfection of spirit." A Siddha Guru can initiate disciples into Mind Science techniques with "Shaktipat" or transmission of spiritual energy. Initiation is the transmission of energy that results in instantaneous transformation. During an Initiation the Master/Guru is giving you his energy as a Seed. The Seed energy or power of the Master is given to you for an intended result. Previously, initiation from a true Siddha Master was very hard to come by, with seekers often spending decades performing difficult austerities to get just one little gem! Needless to say, Siddha Techniques have been taught only to a few exclusive individuals. However, once we crossed the threshold of the Golden Age, Dr. Pillai is bringing this once very secretive science to the general public. 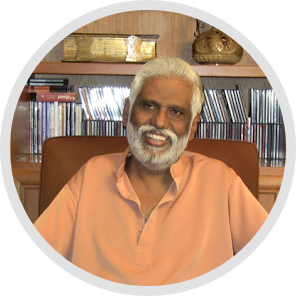 Dr. Pillai brings forth from His Lineage of the Siddhas, Sound Technologies and Meditation Techniques that are effective, practical and easy to use. Hundreds of thousands of people are benefitting from his unique blend of Science and Spirituality incorporating of cutting edge scientific findings with wisdom from esoteric traditions from across the world. Dr. Pillai is creating a Meditation Movement like no other. He is the author of several books including Life Changing Sounds: Tools from the Other Side, Miracles of the Avatar, and One Minute Guide to Prosperity and Enlightenment. Dr. Wayne Dyer lovingly dedicated his breakthrough book "Manifest Your Destiny" to Dr. Pillai, a.k.a. Guruji, for giving to Dr. Dyer the now famous "Ah" Meditation. He created and continues to develop The PillaiCenter (http://www.pillaicenter.com), an educational company with a goal of enhancing human intelligence and positively transforming every aspect of life. 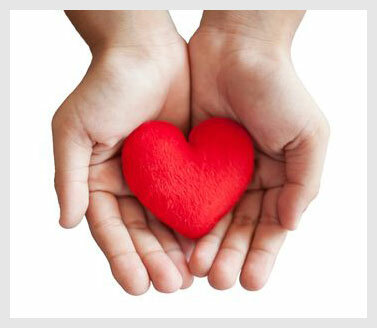 Courses are offered on self-development in health, prosperity, relationship and spirituality. 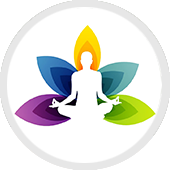 Dr. Pillai is the founder of AstroVed (http://www.astroved.com), an organization which focuses on the propagation of the Vedic sciences, and offers spiritual technologies to bring about positive transformation in the areas of prosperity, health, relationship, career and inner growth. As founder of non-profit, Tripura Foundation (http://www.tripurafoundation.org), Dr. Pillai is committed to abolishing extreme poverty. For over 20 years, Tripura's programs have been designed to eradicate hunger, educate children, and empower women & girls. Tripura's current "Hope Centers" provide science-based, transformational tools through educational programs to its 80+ centers serving underprivileged children. Tripura has built sustainable, environmentally-friendly housing for the poorest of the poor, replacing slum dwellings with beautiful homes. Tripura Foundation also sponsors Boystown residential facility for impoverished boys, delivers feeding programs, and offers other relief programs around the world. 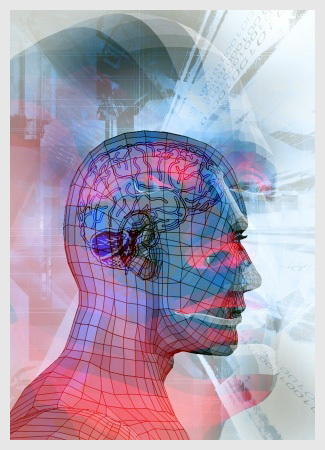 The Pillai Center for MindScience is an educational institution geared toward enhancing human intelligence and positively transforming every aspect of life. 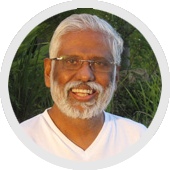 The Pillai Center is Dr. Pillai's teaching vehicle that offers MindScience courses in four primary areas: health, prosperity, relationship and spiritual evolution. Copyright © 2014 Millionaire Yoga. All rights reserved. * In accordance with the latest FTC guidelines, we want to make it explicitly clear that the customer letters we have received are based on the unique experiences and circumstances of a few people only. We cannot promise that you will experience similar benefits from using our product. Not everyone can expect these results, results will vary by person. The generally expected performance of Millionaire Yoga in regards to any specific disease has not been scientifically validated and we cannot and will not make any promises in regards to any miracle cures.